It is 2 a.m. You did poorly on the midterm you got back today, and earlier you had an unpleasant call from home. Your roommates, with whom you have trouble talking even in the best of times, are fast asleep. You begin to feel as if there's no place for you here. Welcome to the world of peer counseling at Harvard, where, as one counselor puts it, "you're not expected to be perfect." To alleviate both the seemingly insurmountable crises--and even the more prosaic ones--five specially trained student groups are on call day and night. R. Ellen Bledsoe '90, a co-director of Room 13, the self-described all-purpose counseling service, says that there is a common misperception at Harvard that "you have to have tested HIV positive to seek help from a counseling group." "People can come down with very simple problems," she says. With specialties ranging from issues of sexual harassment to nothing in particular, each student group has carved out its own niche in the College's support network. While some counselors maintain that their work is no more needed at Harvard than it would be on any other campus, many say they fill a major void unique to the College. Since Harvard undergraduates are taught to be self-reliant, some counselors say, they tend not to admit problems to professionals or friends because such actions could be interpreted as signs of failure. "We have a campus full of overachievers who are supposed to be on top of everything," says Bledsoe. "People aren't supposed to need other people." Michelle S. Jaffe '91, co-director of Peer Contraceptive Counselors (PCC), says that because of the high-pressure pace of life at the College, the need for support is especially acute for students dealing with relationships. "Emotional commitments are hard and frightening," she says. "There are so many things going on that it's difficult to balance a social life and academics." It is not for Tufts, or any institution, to regulate when it is appropriate to engage in consensual dorm-room copulation. 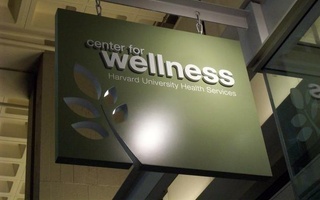 Harvard students looking for support can now turn to HarvardSmiles.com, an online hub launched last week to direct students to mental health resources on campus. “Let’s Talk About Sexual Assault,” The Crimson’s recent editorial, while commendable for its desire to make Harvard a more welcoming place for victims and a safer one for all students, misrepresented the current structures in place to support victims of assault, and neglected to mention others.